Till now, Samsung has used the infinity display on its high-end smartphones that include Galaxy S8, S8+ and the Note 8. But, we are soon going to see the same display on the mid-range smartphones from the company. It was reported previously that the Galaxy A 2018 phones are going to feature the Infinity Display. Today, we got a mockup that shows how the phones will look like. The A series from Samsung lies between the J series and the C series. We have seen that all the A series phones are same regarding the design and build with the difference in the size. Same is going to happen in 2018 as Galaxy A5 2018, and A7 2018 are going to feature a similar design with Infinity Display. As the mockup above shows, there will be no buttons on the front so, the phones are going to have the on-screen navigation buttons. Also, the fingerprint scanner will be placed on the back but in a better position as compared to the one on Galaxy S8 and Note 8. The display is going to be 18.5:9, i.e., the same aspect ratio as of the Galaxy S8 and Note 8’s display. 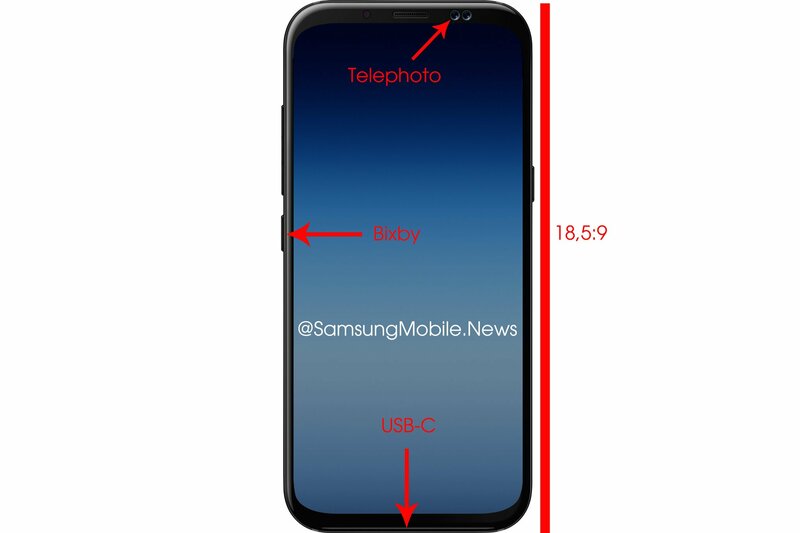 The Galaxy A 2018 will feature a dedicated Bixby button and USB Type-C Port and dual front-facing camera. The chances are that the secondary camera on the front is going to be a telephoto lens for a portrait mode-like effect. So, what do you think of this design for the next year’s A-series phones? Do let us know via the comments section.